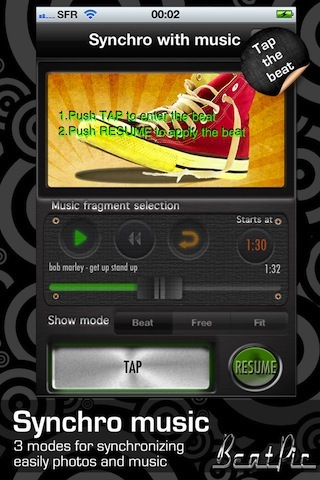 BeatPic for Viddy allows you to create easily 15 seconds video clips animating your photos to the beat of the music. The video format has been specially designed for Viddy but it can be shared in Facebook and YouTube too. 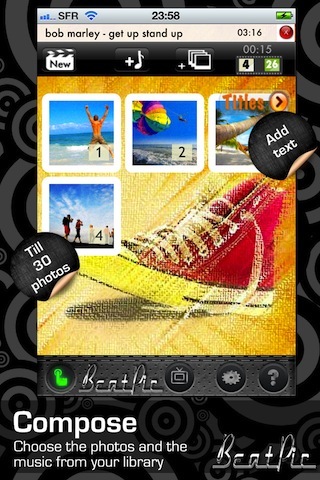 What makes this app special? 2) It allows to synchronize audio and images very easily, creating more punchy videos. Viddy is a great video-sharing social network. It allows users to post videos of 15 seconds or less. Although their app is perfect for editing video, it doesn't allow you to put photos in the clip or using your own music. 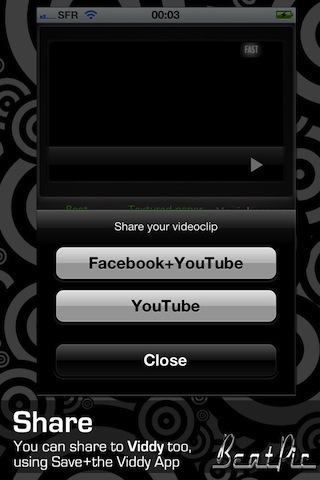 BeatPic for Viddy allows to do it and creates the clip in a compressed 15 second format, ready to be shared from Viddy App. For publishing in Facebook you'll need also a YouTube account. 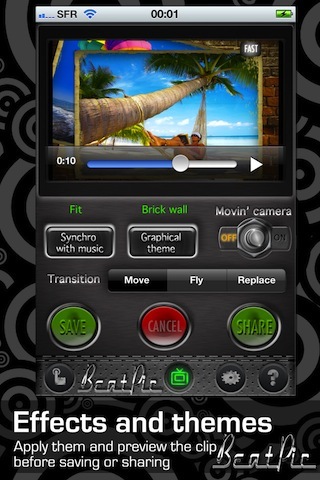 Some examples of video clips produced with BeatPic for Viddy.